Fords exciting little Fiesta 1.0L EcoBoost is a real punchy little number that is just crying out for an exhaust upgrade to add to all the fun. 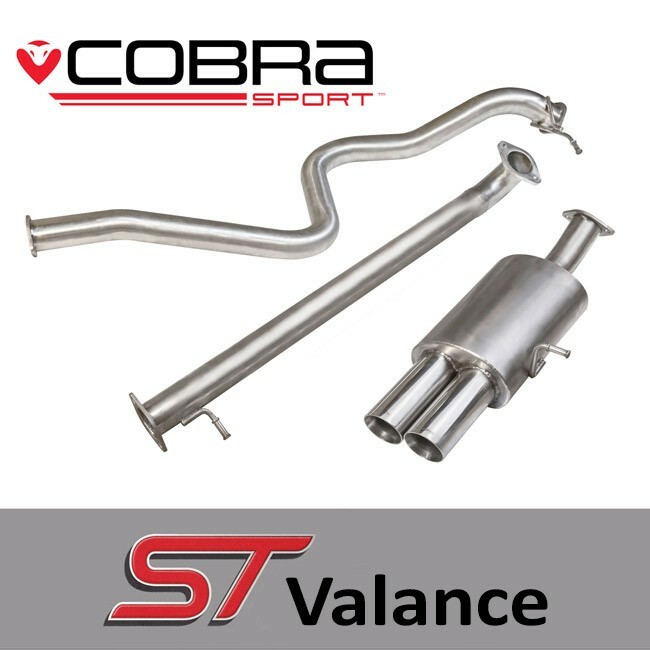 The team at Cobra Sport were able to work their usual magic and create a stainless steel exhaust worthy of the car’s sporty reputation. As we realise everyone is individual in their tastes for sound and looks, we are pleased to launch an alternative Fiesta EcoBoost exhaust system specially designed to fit within a replacement Fiesta ST style rear bumper and panel to replicate the ST180 look. The performance exhaust systems have been designed to fit from the Catalytic Converter backwards in both a resonated and louder non-resonated version. This allows those in need of some extra drama to opt for the non-resonated system and those seeking a more subtle enhancement to go with the resonated option. With the OE system, on tick over, coming in at 62dB, the resonated option comes in at 70.3dB adding a more noticeable soundtrack. The Cobra Sport systems provide a pitch perfect sound track with a noticeably deeper tone with the resonated cat back recording a sporty 91.3dB on the static 4,000rpm sound test. The styling of the system is finished off with either a subtle ‘OE look’ twin 3” inward rolled slash-cut tailpipe or a more aggressive inverted slash cut tailpipe. Both tailpipes come in a highly polished 304 stainless steel finish. Image shows the non-resonated system that is louder as it excludes the centre silencer and therefore, has a sportier exhaust note. This exhaust however, is also available as a resonated version (including centre silencer) which is a quieter option.